Creating a world as you like it! Politicians have learned an important lesson, one that Christine Baldwin understood well when she wrote the words above! Paint the story you want people to experience and believe and it will reshape the world. Anecdotal evidence suggests that it doesn't have to be true. It only has to be something that we want to be true. While statistics show that illegal aliens have been apprehended in record numbers recently with lower crime rates, the story that is being told is that we are being overwhelmed and 'invaded.' Inheritance tax becomes the death tax, the expiration of a temporary tax cut for the wealthiest among us inspires the story that one party is forcing a devastating tax hike, which will send us back into a recession and bring about the end of western society as we know it! How do we decide what story to believe? What story do we need to tell to create a society where peace and social justice are the common threads? 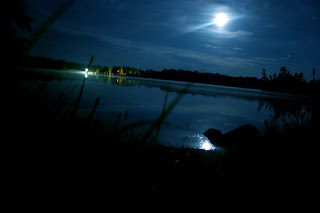 I am beginning to think that there is something innately satisfying about outrage and anger rather than peace and love. What do you think... What story do we tell to make the world safe for people, plants and animals? Somehow seeing 700 years of graffiti on Great Britain's coronation chair last summer gave history a new and personal reality. The chair, which for centuries was accessible to tourists at Westminster Abbey to sit in and touch, with its carved initials from thousands of tourists over the past 7 centuries was a remarkable experience. It reminds us that graffiti is not a recent invention. Cavemen left it behind, Napoleon's troops left it on the pyramids in Egypt, and gangs disfigure our landscape with it today. Until recently people could sit in the chair and they loved leaving a bit of themselves behind. If you look at the picture you can see a stone built into the chair just under the seat. Legend says this stone was the stone Jacob used as his pillow in Bethel. Jacob's sons may have carried it to Egypt and eventually it found its way to England. (more than likely the stone is actually just a rock -- but then we come to another learning opportunity -- the importance of myth -- how true is history and what gets recorded as history depends on who survives?). 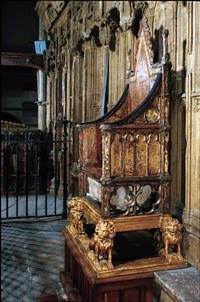 Every king and queen of England since the coronation of Edward II, 700 years ago has used the chair, as a way of claiming divine authority to the throne. This is the stuff that brings excitement and reality to a potentially dry subject....the combination of experience and knowledge to put a string of historical dates into perspective! Finding the time to reflect on facts like this in a teaching schedule which has a list of skills to be drilled into little brains is almost impossible. Instruction that might inspire a day dream or a life-long dream recedes into the 'if I have time' or 'enriching details' -- spot on the lesson plan. We are all concerned about our test scores from last springs high stakes tests, but what the newspapers do not report is that 1) the tests may not actually test for what they think we are testing 2) the tests do not take into account the fact that children are ready to learn different information at different biological ages 3)scores include those of children who have learning disabilities or other languages as their primary language 4)we compare ALL our children to only a few kids in other countries who are college bound 5) the scores must rise each year--with 100% of students at 100% attainment by 2014. Perhaps if people knew these facts they might reasonably conclude that the job teachers have is impossible. When young people ask about going into my beloved and chosen profession I advise against it. In today's climate educators are a target for society's malaise and angst. I cling to the hope that we will return to being able to spend time exciting kids with facts like the one about the coronation chair, and I try to slip them in at every opportunity. It may not be a fact that will ever appear on a test, but it is the kind of fact that helps kids relate to the people who lived in the past, and to organize the data they need to acquire in order to understand the grand sweep of human history -- not just a list of facts and dates.